Small business owners across the UK can celebrate having more time for the work they love, because today we’re announcing the Square Invoices app — created to help you process payments faster and get paid from anywhere. You can now send invoices, track payment statuses and send reminders, wherever you are. The Square Invoices app is free to download, with no complicated contracts, commitments or monthly fees. Create, send and track invoices for free, and only pay a flat 2.5% fee when payments are processed online. Your clients will never be charged, no matter how they pay. Send online invoices from anywhere to get paid fast. Give clients a convenient way to pay by sending professional digital invoices direct to their inbox. Send recurring invoices for repeat payments, and allow clients to save their card on file for automatic billing in future. Book your next job by sending estimates that clients can approve online with one click. Easily convert approved estimates to invoices directly from the app. Track statuses and set automatic reminders. Monitor when your invoice has been viewed and paid, and send automatic reminders for outstanding invoices. Accept any kind of payment. Clients can pay invoices online using Apple Pay, Google Pay or any major debit or credit card. You can also accept card payments in person by connecting your Square hardware to the Square Invoices app. Secure large invoice payments by requesting part of the payment up front. Strengthen your brand and look more professional by uploading your business logo and customising design elements on invoices. 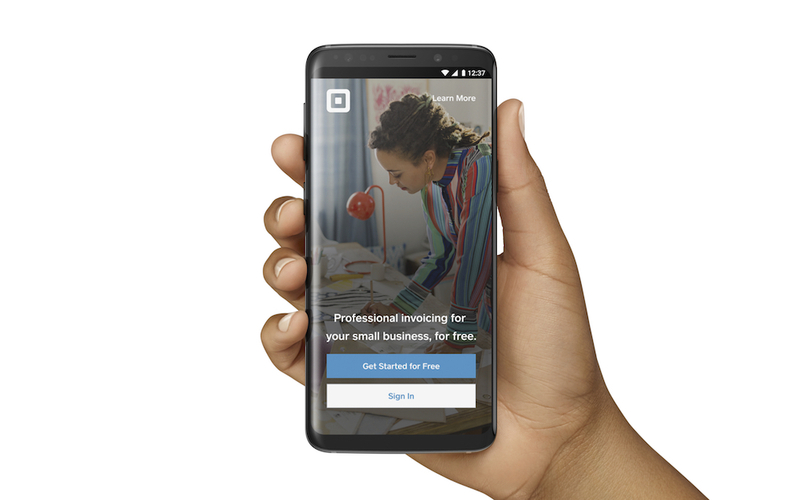 Square provides next business day deposits as standard. And if you need your money even quicker, Instant Deposit can get it to you in as little as 20 minutes†. Download the free Square Invoices app on your Android or iOS device. Sign up for a free Square account or sign in to your existing Square account. Tap the “+” sign on the navigation bar and select Invoice. Tap “Add Customer”, and either select an existing customer from your directory or tap “Create Customer” to enter your customer’s name and email address. Tap “Add Item” to add an item from your item library or add a custom amount. †Funds are subject to your bank’s availability schedule, but are generally available in your bank account within 20 minutes of initiating Instant Deposit.